Description: Air Canada Express operated by Jazz Air has been short pilots on their CRJ200 and CRJ900 (CRJ705) aircraft and has asked vACA to send some pilots to get their flights done. For this tour you will follow a sample real world 4 day pairing that a YYZ based CRJ crew may fly. You may fly any of the routes with either the -200 or -900. We will be creating a badge for those who successfully complete this tour. Please note you do not have to complete this tour in 4 days nor do you have to fly all the legs for a certain day in one day. Enjoy! Description: It's 1947 and you are a Douglas DC3 Pilot, It's your job to transport the small amount of passengers around Nova Scotia and newfoundland, with a stop off in Quebec. Description: Heres your chance to fly a Vickers Vangard 952 during the 1960's - 70's, East to West across Canada and back, plus a trip to the Bahamas, Enjoy!. Description: It's 1973 & Air Canada intoduces their Lockheed Tristars L-1011 in its various forms, It's your opportunity to fly this beautiful aircraft over the length of Canada, visiting the hubs & other major airports, Enjoy. Description: Here is your chance to fly Star Alliance all around Europe, visiting Sweden, Romania, Turkey, Belgium & many more, using plenty of different aircraft for several different airlines, so grab your copilot & your bag & get going. Description: Attention all long haul pilot's, get your heavy's out of the hanger and fueled up for virtual ACA's "Star Alliance Long Haul Tour". Make sure you're well rested as this baby's our first long haul tour and these flights are some of the longest in the world. Be warned...this tour isn't for the feint hearted. Are you up to the challenge? Description: Air Canada was born as Trans-Canada Air Lines (TCA, for short) over three-quarters of a century ago on April 10, 1937. Take a step back in time as a pilot of TCA flying "one of the most iconic aircrafts in aviation history"...the DC3. The pictured Aircraft is available for download for FSX in the forum "tours" and "FS addons"
Description: Back in 1937 the new Trans Canada Airlines purchased four aircraft, a Stearman biplane for the mail run & Three Lockheed L-10A Electras for passenger routes, by the early fourtys the company had grown & now flew from West coast to East coast with the Electras. Now is your chance to be one of the first pilots to fly to all the destinations available from 1941, so get out your old charts & choose your visual or VOR routes to fly with this beautiful aircraft. Description: Here is your chance to fly for Ethiopian Airlines, based in Addis Ababa Bole International Airport, Ethiopia, visiting a few African destinations on the way, enjoy. Tour Start Date: February 1, 2015. Description: Here is your chance to fly for Air India, the newest addition to the Star Alliance, based in Bombay (BOM/VABB) & Dehli (DEL/VIDP) in India, visiting a few Indian & Asian destinations on the way, enjoy. Tour Start Date: March 1st, 2015. Description: Heres your chance to fly for another of our Alliance partners, Based in Goose Bay, flying to some airports in & around Newfoundland & Labrador, & New Brunswick using the Iconic & Popular Beechcraft 1900D. Enjoy. Description: here is your chance to fly the McDonnell Douglas DC9-30 for Air Canada, covering Canada & the U.S.A, Air Canada used this aircraft between 1966 & 2002, the last flight was from KLGA to CYUL, January 18th 2002, we recreate this last flight on the last leg of the tour, sign up & enjoy. Description: It's time to dust off your Jumbo Jet the fabulous Boeing 747, take flight in a tour of the American continent, visiting airports served by our Star Alliance Partners, enjoy the trip. Description: Here is your chance to fly for LOT Polish Airlines, based in Warsaw, Poland, visiting a few European destinations on the way, using their E170, E190 & B734 enjoy. Tour Start Date: May 1, 2015. Description: This time you are flying for our German partner Lufthansa, based mainly in Frankfurt EDDF/FRA, Germany, flying some of their Airbus fleet around Europe & to the middle east, This area is always busy with atc on IVAO & VATSIM, sign up & enjoy. Tour start date is 1st June 2015. Description: Flying Beaver Adventures is now departing! Enjoy the breathtaking Alaskan scenery as you leisurely fly your favorite float plane to various seaplane bases around Alaska. Description: Time to dust off the old floatplane & take her for a spin around the beautiful Vancouver Island. Description: Join us once again as we fly our favorite float planes in Alaska, enjoying the magnificent scenery and great approaches! Description: Here is your chance to fly for Shenzhen Airlines, based in Shenzhen, China, visiting a few Oriental destinations on the way, enjoy. Tour Start Date: August 1, 2015. Description: Now we head for South Africa to FAOR/JNB Johannesburg, you will be flying their airbus fleet to Africa & other continents, including one of the longest flights available today, sign up & enjoy, Tour starts 1st October 2015. Description: Now you have the chance to fly for our partners in Switzerland, Based in Zurich (LSZH) Switzerland, flying across Europe & down to South Africa, Tour start date 1st November 2015, Enjoy. Description: Now you can fly from the East coast to West coast using the beautiful and robust Vickers Viscount, introduced in 1955 for short to medium routes until it was replaced by the DC9 in 1974, time to turn back the clocks once again for vACA, sign up & enjoy. Thanks to John Croxford ACA2492 for this idea. Description: Here's your chance to fly for TAP Portugal, based in Lisbon (LPPT/LIS) & Porto (LPPR/OPO) in Portugal, visiting some major cities & some holiday Islands, Enjoy, Tour start date 1st December 2015. Description: Now is your chance to fly around Thailand for Thai Airways, based in Bangkok (VTSB/BKK) travelling around some interesting destinations, sign up & enjoy. Tour start date 1st January 2016. Description: Now you can fly the Douglas DC-8 for Air Canada, used between 1960 - 1983, sign up & enjoy. 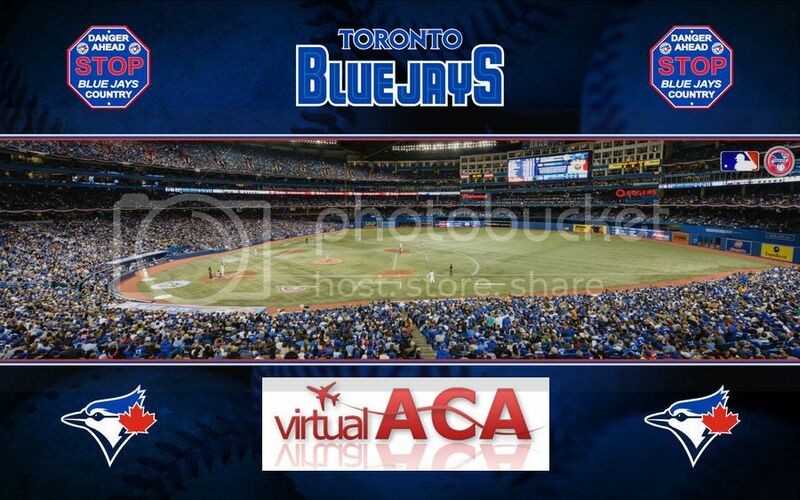 Description: Baseball is back, and this year the Toronto Blue Jays, Canada's MLB team need us to fly their charter flights all over the United States and Canada while they compete for their third straight playoff berth, and a shot at the World Series. Josh Donaldson, Joey Bats, Aaron Sanchez and the whole team are counting on us! Ok! Blue Jay! Lets Play Ball! Description: Now is your chance to fly the Boeing 727-200 across Canada & to the Caribbean, Used by Air Canada from 1974 - 1992, sign up & enjoy. Description: Now here is your chance to fly for our largest Star Alliance partner, United Airlines, on this tour you will use all 13 different aircraft that United use, flying between all 10 of their hubs to many destinations across North America & beyond, Sign up for the last Star Alliance tour & enjoy. 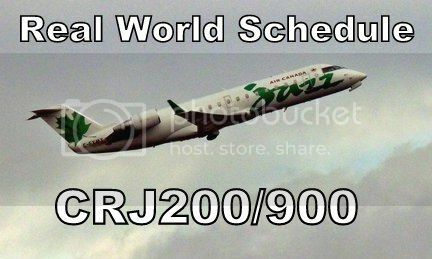 Description: Now its time to fly for Jazz on this retro tour, Nova Scotia & New Brunswick are the areas for this one, BAe146-200 or Avro RJ85 to be used. Description: Here is your chance to fly the beautiful DC4 North Star from The west coast to the east and back, sit back and enjoy the sound from the four Merlin engines and cruise up to 36000ft in this iconic aircraft, sign up and enjoy. any DC4, North Star or Argonaut can be used, TCA or Air Canada. Description: Avianca Brazil, officially Oceanair Linhas Aéreas S/A, is a Brazilian airline based in São Paulo, Brazil. It operates passenger services from 25 destinations. Its main bases are Brasília and São Paulo-Guarulhos airports, It is now a member of the Star Alliance, so sign up & enjoy exploring Brazil. 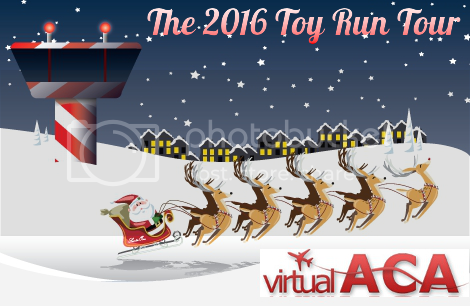 Description: The 2018 Winter Olympics in South Korea are upon us and once again, virtualACA has been called on to bring over athletes, fans, media, and coaches. Departing from Vancouver, fly them to the games, and then return from Korea to Calgary, where the games will debrief at Calgary's Olympic Park, host of the 1988 games. Any aircraft that can fit the range of the flights may be used. Enjoy! Description: Pack your suitcases were off to the Caribbean, visiting all of the Caribbean destinations flying Rouge & mainline aircraft out of CYYZ Toronto & CYUL Montreal, don't forget your sun cream.